Temperature-sensitive shipping is the transport of goods that are sensitive to climate conditions. Shipping temperature-sensitive goods is not a matter of merely keeping your items cool through transit. Extreme temperatures in each direction can cause spoilage, whether you’re shipping pharmaceuticals or perishable foods like fresh-caught shellfish. Here are some tips for shipping temperature-sensitive goods. Follow these 6 steps to help keep your products at the right temperature. 1. 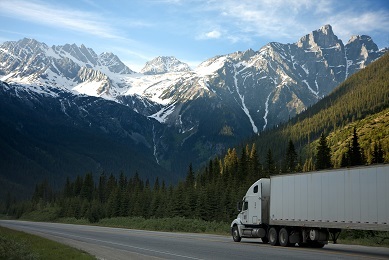 Choose a trusted freight service provider. Choose a carrier with global access to temperature-regulated, healthcare-dedicated facilities to ensure your shipment preserve definite temperature requirements throughout transit and storage. 2. Learn the rules and regulations properly. 3. Choose appropriate packaging for your goods. To keep the stability in temperature, you have to keep the heat out and the coolness in. It all boils down to insulation and refrigeration. Use sturdy insulated foam containers for packaging of food and other items that you want to keep frozen. 4. Choose the appropriate coolant. Dry ice and gel packs are generally better choices than traditional ice because ice will melt. In general, dry ice is best for items that you want to keep frozen, while gel packs are a good option for keeping goods between 32 and 60 degrees Fahrenheit. 5. Choose a fast shipping option. Consider timing when shipping your temperature-sensitive goods. Avoid holidays and try to ship early in the week as shipping the items in the weekend can result in a delay. 6. Monitor sensitive temperature-controlled goods in transit. Temperature-monitoring devices can be used in healthcare shipment to verify that the items are within the required temperature range throughout transit and storage. For particularly sensitive shipments, select a high-tech monitoring device that allows you to track the condition of your medical goods around the clock, and notifies you if intervention is required in the case of sudden delays or temperature fluctuation. We stay up to date on industry best practices to bring you the best transportation solutions possible. Whether you need online self-service tools or a full-service team of responsive freight experts, shipping perishable items are within reach. Work with Tenax Transport team of experts to ship your temperature-controlled freight. Get a quote on your freight today. We’ll be more than happy to serve you.